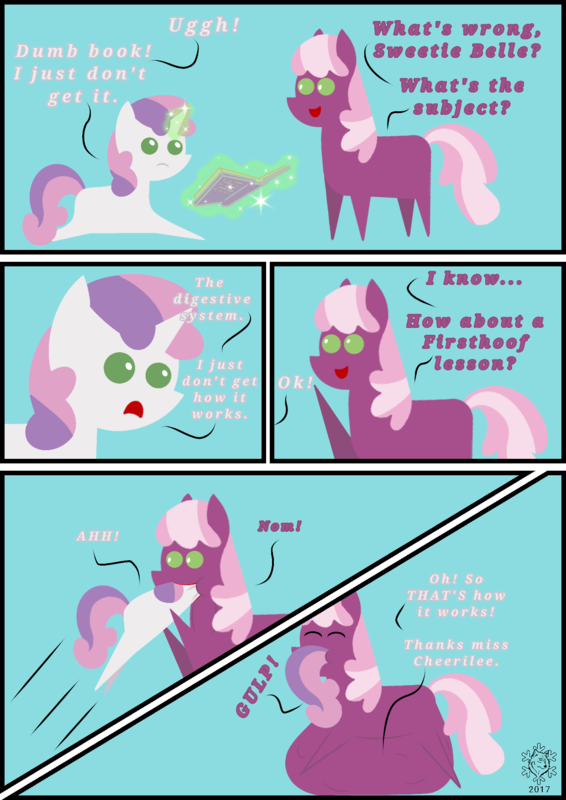 Miss Cheerilee gives Sweetie Belle an in depth look at the inner workings of the digestive system. Frakkerzod learned a lot about the digestion system that day as she melted away. Page generated in 13.597 miliseconds. 17 Queries.